Scottsdale has become internationally recognized as a premier, upscale tourist destination, while maintaining its own identity and culture as "The West's Most Western Town." However, despite this motto, in the 1970s, most construction of new horse corrals was prohibited. What had, in the 20th century been vacant desert, was converted to urban or suburban environment. According to the 2007 Census Bureau estimates, the population of the city was 240,410. In 1888, a U.S. Army Chaplain, Winfield Scott, paid the paltry sum of $2.50 an acre for a 640 acre stretch of land where the city is now located. Winfield's brother, George Washington Scott was the first resident of the town that was then known as Orangedale and later changed to Scottsdale in 1894. In 1937, internationally renowned architect Frank Lloyd Wright set up his "winter camp" at the foot of the McDowell Mountains, creating what is now known asTeliesin West . Scottsdale, and the rest of Phoenix, have seen an everlasting influence from Frank Lloyd Wright. Many buildings throughout the region were designed by the famous architect. Today, a Frank Lloyd Wright memorial stands in North Scottsdale and a major street bears his name. From its official incorporation in 1951 with a population of 2000, the town of Scottsdale has grown to a 2007 Census of 240,710. It is now the state's sixth-largest city. 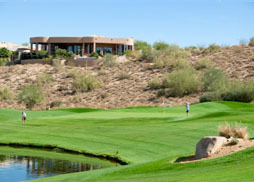 Scottsdale is commonly defined by its high quality of life. In 1993, Scottsdale was named the "Most Livable City," in the USA by the United States Conference of Mayors. This title is notoriously lampooned across the state because of the high cost of living in Scottsdale. It is continually ranked as one of the premier golf and resort destinations in the world, with a sizable portion of tax revenue being derived from tourism. It is also home to the FBR Open Golf Tournament held at the Tournament players Club, which carries the distinction of the best-attended event on the PGA Tour. The city is loosely divided into four areas: South Scottsdale (McKellips Road north to Chaparral Road), Old Town (Downtown) Scottsdale, Central Scottsdale (also known as the, "Shea Corridor"; extends from Chaparral Road north to Shea Boulevard), and North Scottsdale. 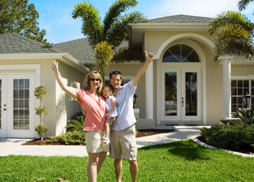 The real estate market in Scottsdale is among the most expensive in the United States. In 2005, both Scottsdale and Paradise Valley were among the top ten markets in the nation for luxury home sales, and the only two cities outside of California. Paradise Valley was ranked ninth with $637 million in luxury home sales, while Scottsdale was ranked tenth with $594 million in luxury home sales. South Scottsdale has been known for many years as more or less the working class region of Scottsdale, although today it is transforming into a dynamic urban area. It contains the major nightlife for the area and is a major art center of metro Phoenix. The median resale home price is $291,500, compared to $667,450 in North Scottsdale. A portion of McDowell Road in South Scottsdale is known as "Motor Mile," with 32 dealerships represented along the street. The strip generates over $10 million in sale tax revenue each year and is one of the most profitable auto-miles in the U.S. South Scottsdale will also soon be home to a new research center for Arizona State University, known as Sky Song. The development has attracted the research and development arms of a number of international corporations. Old Town Scottsdale is an area with many streets, stores, restaurants, bars, nightclubs, and western art galleries evoking the old cowboy era. Scottsdale's main cultural district is also in this area, which includes the high-end Scottsdale Fashion Square Mall, one of the twenty largest malls in the United States. The district has currently seen a revival, with new condominiums and hotels under construction. The Shea Corridor is so named because it is in close proximity to the east-west running Shea Boulevard. The homes in this region were generally built during the 1970s. Despite their older age, real estate in the Shea Corridor (Central Scottsdale) has increased during the 1990s, and overall, the Phoenix-Mesa-Scottsdale real estate market has seen the largest gain in home prices in the nation, with a 38.4% increase in value. There are a number of communities in this central region of Scottsdale that remain among the most highly-desired residential areas in the metropolitan area, including Gainey Ranch and McCormick Ranch. A large portion of Scottsdale Road in the Shea Corridor has been dubbed "Resort Corridor" for the high number of resorts locating on the street. The second Ritz Carlton in the Phoenix metropolitan area will be constructed along this corridor. North Scottsdale is currently the most actively developed area of Scottsdale as it was historically the least built up. This portion of the city also claims many of the most expensive homes in Scottsdale, with many exceeding $5 million in value. The city's borders rapidly expand to the east and west in this area, containing the McDowell Mountain range. Troon is a large-scale development in North Scottsdale.